Concrete Reference Thermometer, 30 - 124F, Mercury-filled - Gilson Co. 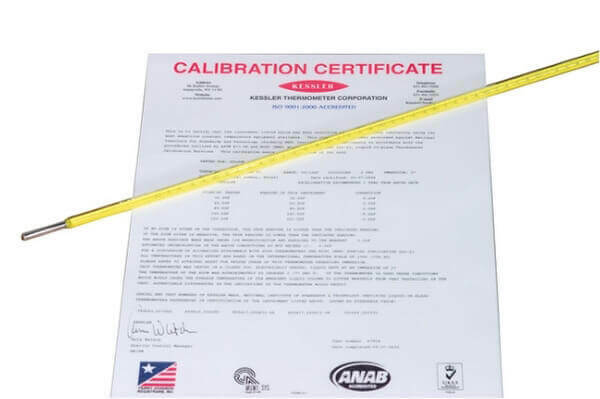 The MA-158 Concrete Reference Thermometer checks calibration of devices used for temperature determinations in cement and concrete and complies with ASTM C 1064 and E 77. Thermometer is Mercury-filled with black engraved numbers against a yellow background for easy readability. Model is calibrated for 3in (76mm) immersion and includes a certificate with NIST traceability. Purchase the MA-149 for a non-mercury alternative.